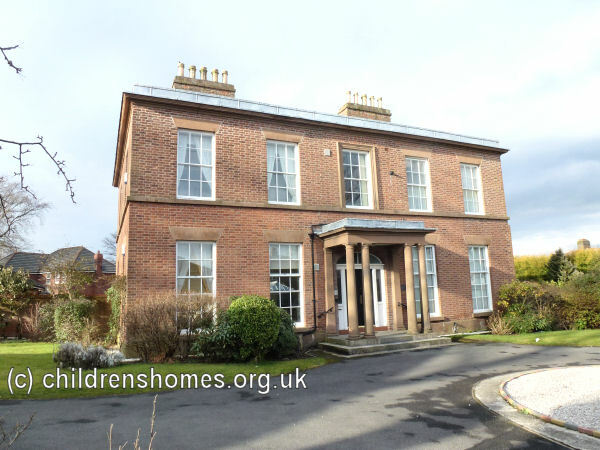 St Agnes' Home for Girls was founded in 1914 in a property known as Nutgrove Hall, at Thatto Heath, St Helens. It provided 5 places for 'fallen' girls and also a crèche for babies. In 1920, the superintendent was Miss K.M. Jubb. By 1930, the Home housed up to 13 'difficult girls, and those from bad surroundings'. A weekly charge of 15s. was made for inmates from outside the diocese. In 1936, St Agnes' was operating as a Probation Home for up to 14 girls. The superintendent at that date was Miss Bathe. On July 2nd, 1937, the Home was certified for use as an Approved School for Girls. The establishment then housed 13 girls who were given domestic training. On 30th September, 1951, it was announced that the managers of the School intended to resign its Certificate of Approval. The property later became a nursing home but is now in private residential use.